They're More Than Alright! The wooden displays are perfect in any type of setting. Display baskets, wood pedestals and barrels make light work of showing and storing your items. 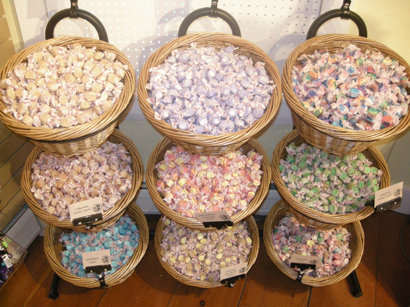 Use wood store displays to add a country atmosphere to your candy store. Wicker baskets and wicker stands invite your guests to explore. Wooden pedestals bring attention to your merchandise in a simple yet elegant display. Need a place to display bulk candy with rustic charm? Discover the assortment of wood barrel displays. Showcase wood products create a relaxed and comfortable environment that shoppers enjoy. Place the wood displays near counters and aisles to increase impulse buys. These wooden store fixtures come in several different styles, they are spectacular alone or in groups. Purchase the perfectly pleasing Wooden Store Displays now!